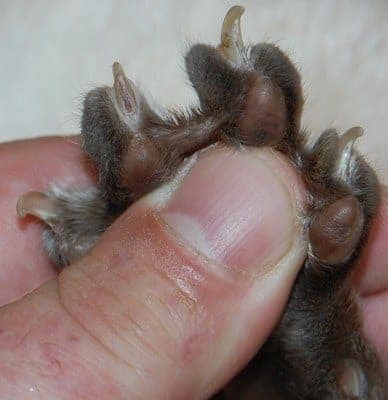 Before I explain how to cut your cats claws let me first explain that cats front feet have five claws and their back legs have four. The front feet have what is called a dew claw which is located in the ‘thumb position’. 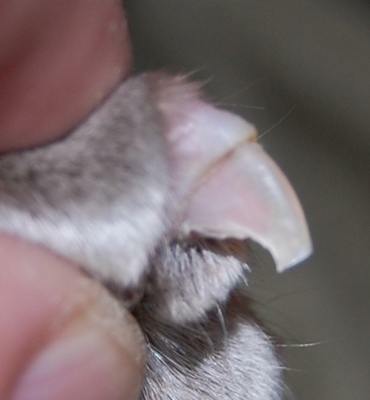 All of the cats claws need clipping including the dew claws. I strongly recommend that you clip all four feet and not just the front feet. 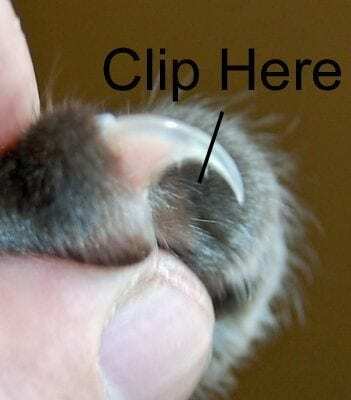 If you are clipping your cats claws in preparation for a cat show then you must clip front and back. If you only do the front then you are letting down your cat, the judge, the steward and most importantly yourself, cat shows are beauty contest after all! 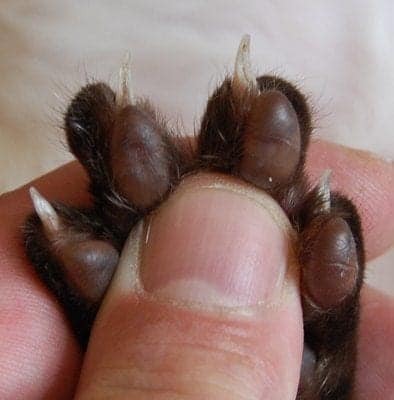 To get my cat used to clipping their claws I start to play with my cats feet when they are kittens. I gently press on the paw pads and extend the kittens claws, I play with the toes and generally just get my kittens used to the fact that I like to mess about with their feet. (What they must think I do not know!) I find that all my cats are quite happy for me to clip their claws and I can usually manage to do them without any help. I must admit though it is easier as a two man job. 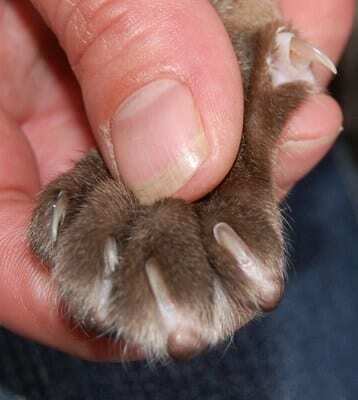 When clipping a cats claws great care must be taken not to clip to closely to the quick. The quick is a nerve ending inside the claw and if you cut it then it will bleed and also hurt your cat. 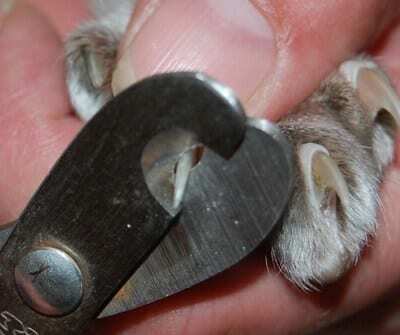 There are a few different styles of claw clippers which are only a few pounds. I recommend that you use cat claw clippers and not human nail clippers to avoid splintering or cracks. 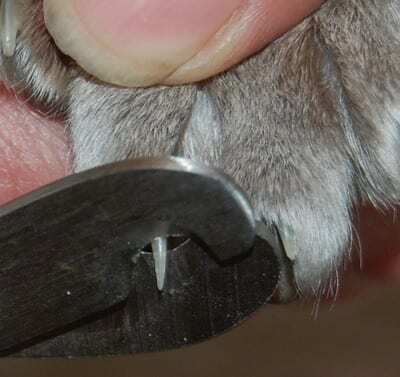 I also recommend that you clip the claws vertically and not horizontally to again avoid splintering or cracks. If a crack shoots down to the quick this is painful for your cat. Set of small nail clippers ideal for cats.